What: Every year, Forest & Bird holds its Bird of the Year competition. And this year, I am the campaign manager for the rightful winner of that competition, the takahe. Who: Yes, the takahe. There’s one, right there, comin’ at ya. It’s the pukeko’s bigger, cooler, rarer cousin. And the news that the pukeko won the 2011 competition? The takahe isn’t taking that well at all. Why: There are a lot of reasons why you should vote for the takahe, and I’ll be telling you all about them over the next three weeks. Here are three to start with. 1) The takahe is a survivor. It was thought to be extinct for more than half a century – but it wasn’t, and one determined naturalist, Dr Geoffrey Orbell, kept looking for it until he found it in the Murchison Mountains of Fiordland. When he clambered up the mountains and found them, the takahe just kept on going about their business. They didn’t throw a big party or anything. 2) The takahe is beautiful. Just look at those gorgeous feathers! 3) If you don’t Vote Takahe, it might peck you on the knee. True story: A takahe once pecked a photographer friend of mine on the knee as he was photographing it – this was in the days before the general public had access to takahe, as they do today, e.g. at Zealandia and on Kapiti Island. He kept taking photos. The takahe kept pecking his knee. And I lived to tell you the tale. When: The competition opens on Monday 10 September (today!) until October 10. .
How: Vote early. Vote often (am I allowed to say that?). Tell your friends to vote, and use social media to pimp out these important hashtags: #votetakahe and #birdoftheyear. 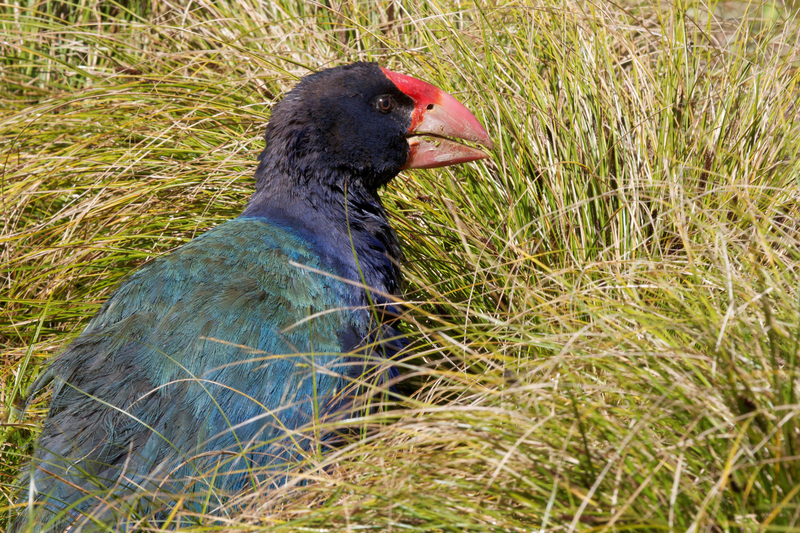 I’ll be tweeting like a bird that tweets – takahe don’t tweet, because they’re far too cool. Tim Jones has contributed 1 entries to our website, so far. View entries by Tim Jones.